**DRIVE AWAY FOR JUST £55 A MONTH- NO FEES! * HERE WE HAVE A LOVELY LITTLE AGILA ECOFLEX 1.2 FINISHED IN METALLIC BLACK AND SUPPLIED WITH FULL HISTORY! EXCELLENT OVERALL CONDITION AND SUPERB TO DRIVE! 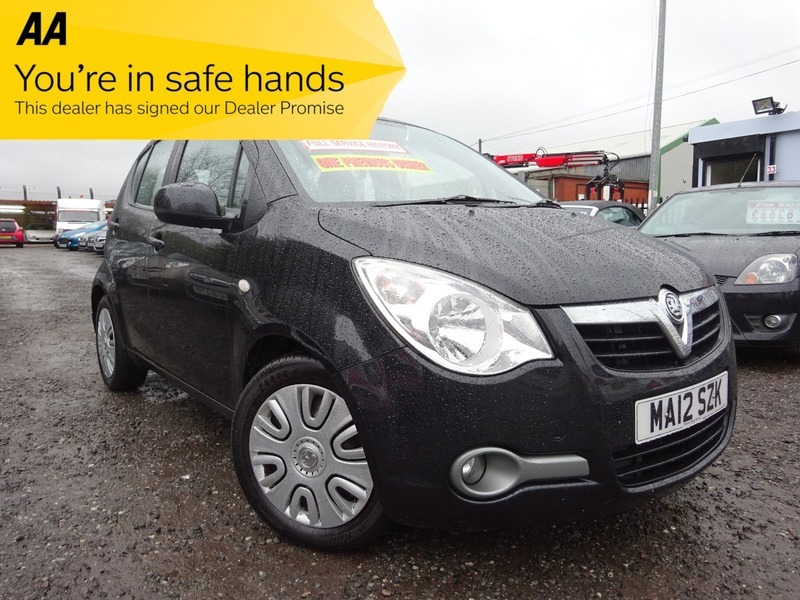 RENOWNED RELIABILITY & FANTASTIC ECONOMY MAKES THIS THE IDEAL SMALL FAMILY CAR! COMES WITH 3 MONTHS WARRANTY & 12 MONTHS AA BRAKE DOWN COVER FOR ADDED PEACE OF MIND! COMPETITIVE FINANCE WITH NO FEES~WE TAILOR FINANCE QUOTES AROUND INDIVIDUAL CIRCUMSTANCES AND OFFER THE BEST RATES AVAILABLE WITH NO/LOW DEPOSIT OPTIONS!